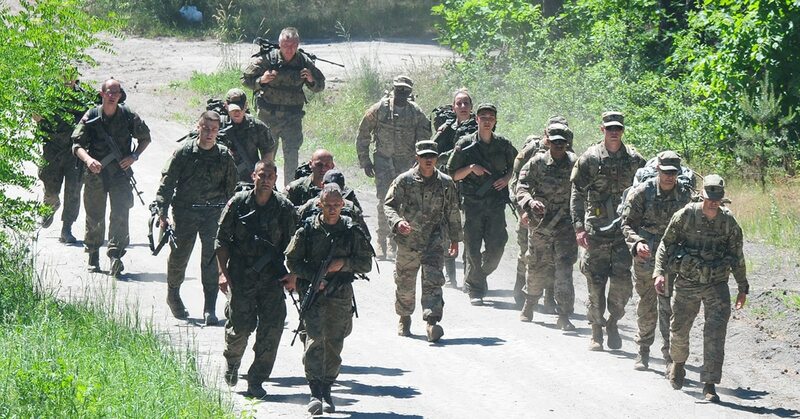 Nearly 30 U.S. and Polish soldiers took to a sandy trail outside a base in Zagan, Poland, June 7 on a 10-kilometer march to commemorate Allied prisoners of war from World War II. “The people before me were tough and I want to build on their legacy of freedom,” said Army Sgt. Jack Hill, an infantry soldier with the Headquarters and Headquarters Company, 1st Armored Brigade Combat Team, 1st Cavalry Division. 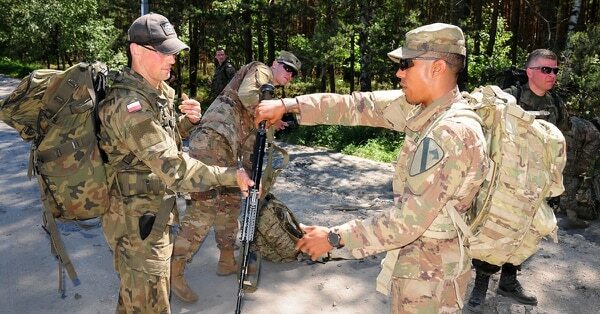 The 1st ABCT is deployed in Poland and is stationed in Zagan participating in Atlantic Resolve, according to a North Carolina National Guard article. Polish army 1st Lt. Tomek Tracznk guided the American soldiers and Polish soldiers, from the 4071st Company, 11th Battalion, along the path, past the Museum of Prisoners of War. The museum is built on the site of the former Stalag Luft III POW camp. Beyond commemorating the prisoners of war, the march helped build rapport between the two nations’ soldiers. During a break at the 5-kilometer point, the soldiers got a chance to talk weapons and deployments.